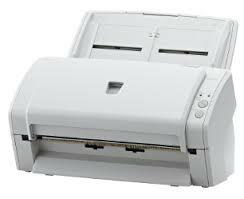 Fujitsu-ScanPartner-SP30-Scanner ScanPartner is equipped with straight path paper feeding mechanism for reliable scanning and high precision separation mechanism using brake rollers. This means ScanPartner is able to scan a wide range of documents including non-standard documents, such as thin documents (41g/m2 or above) and plastic cards (up to 1.4mm in thickness). The ScanPartner is compact in size and does not occupy your valuable desktop space (301mm(W) x 160mm(D) x 158mm(H)), so it is always ready to be used any time.